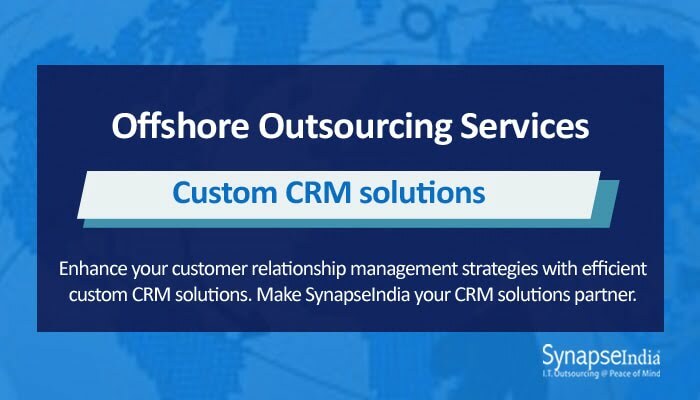 Offshore outsourcing services provider, SynapseIndia has long served a wide variety of clients with sophisticated software products like custom CRM solutions. With a combination of software engineering expertise and quality assurance, the company has created an unrivalled reputation as an IT company. The service offerings of the company cover virtually every aspect of IT services, software design, and development. It services categories range from web design to mobile app development and eCommerce solutions development to bog data analytics. Besides, the company also offers support and maintenance services to help clients run their solutions smoothly. Software engineers and web development experts at SynapseIndia has a deep understanding of various industry verticals. For instance, they know how to differentiate the features and functionality of a real estate website from an online store for the clothing industry. It helps them build business-specific solutions. They are focused on innovation and put all their efforts to bring novel ideas. Customer Relationship Management, or CRM, is a software-based strategy that features a host of functionalities and is aimed at enhancing customer relationship. CRM empowers businesses by a lot of relevant information of a customer into one cohesive unit. These customer data further help a business interact and/or serve the customer in a more personalized way. SynapseIndia offers a range of custom CRM solutions according to specific needs of the clients. The services include SugarCRM integration for integrating a CRM into an existing business software; and CRM migration to transfer CRM data onto a new CRM solution.